Sadly, my photography isn't too hot on these but I thought I should at least point out my oft mentioned Dark Angels are being attempted, if not with any worthy results. 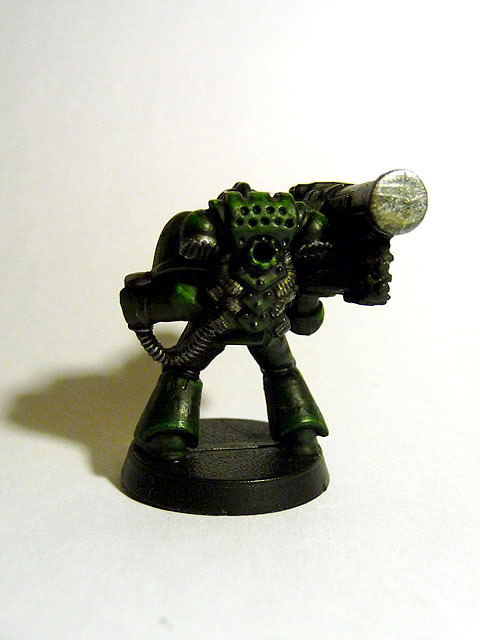 First up is a plastic Missile Launcher Marine, I think he was free on a White Dwarf years ago. 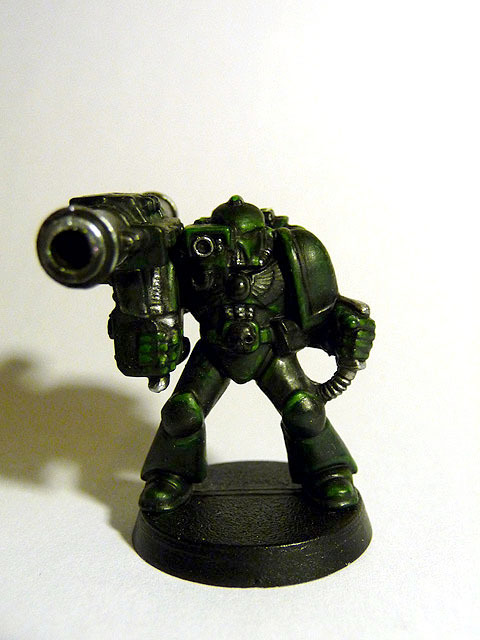 This was my first attempt to get the really dark green I was after and it's nearly there but a bit neon on the edges because it's nearly black everywhere else. 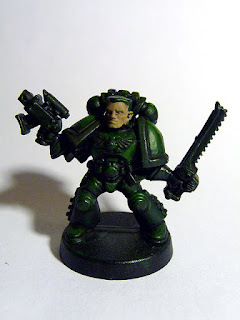 I went to the GW and asked about how to paint Dark Angels and let him show me on one of my Advanced Space Crusade Scout Sergeants [with a back pack he could even be an Assault Marine! I've five of these guys]. 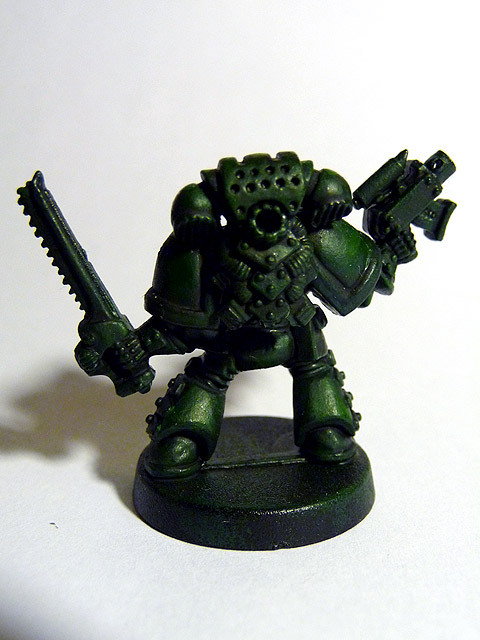 His is a bit greener﻿ but this was a really quick job and I was quite pleased with the results, the extra green makes him stand out a little more so I'll try to get some more done so I can finally get a feel for how to paint them.